The Roaring River Bed & Breakfast is a sight to behold. The home is perched on a hilltop overlooking the Middle Fork of the Snoqualmie River. You would need to be here to appreciate the degree of the beauty and tranquility one place can provide. It is even more beautiful here if you heard a few of the many stories behind it. The location was discovered in the 1930’s by Hugh Bradshaw, a longshoreman in Seattle. He bought near 100 acres out here, primarily for the use of hunting and fishing. He built the original cabin in 1939. Later, while trying to add a basement, he found out he built the cabin directly on top of a boulder. This huge rock would not go away, even when Mr. Bradshaw tried to coax it out with a stick of dynamite. His wife was not too happy with him. He finally gave up and continued to build the basement around it. The boulder is now an interesting feature in our “Rock & Rose” room! 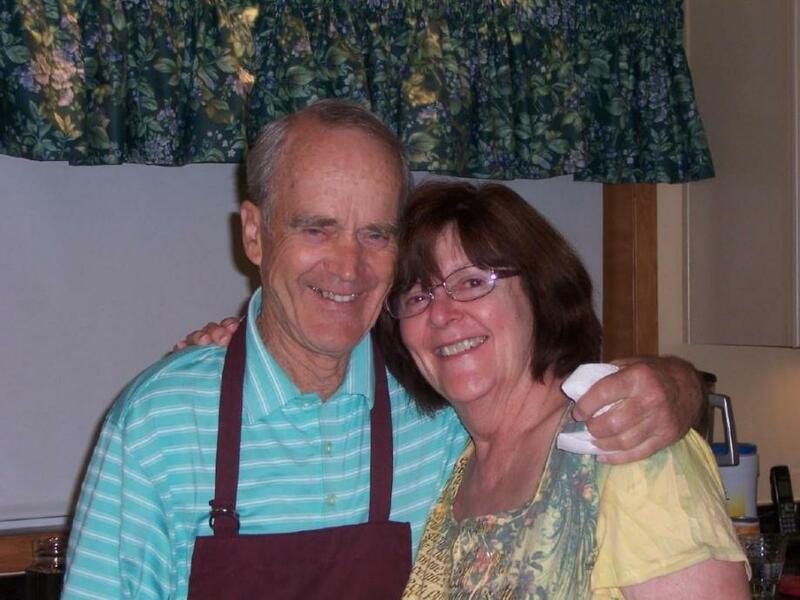 Herschel and Peggy Backues have been married for 54 years and have two sons. They never planned to operate a bed & breakfast, but as many events in life, it just happened. In 1989, they bought what was left of the property Hugh still had, 3.23 acres. Since they retired and their youngest son graduated from college, they decided to open up the bed and breakfast in 1993.